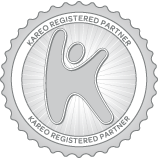 Advantage Medical Billing Solutions powered by Kareo, provides clients with a simple to use cloud-based Practice Management solution so you don’t have to worry about training your staff or maintaining equipment and servers. Our intuitive software streamlines everything from scheduling and storing patient information to sending insurance claims and collecting balances. The Interactive Dashboard gives you a snapshot of the practice., workflow shortcuts and quick access to key functions. Key performance indicators and charts deliver real-time information and is the control center for each Client’s Practice. Enter patient demographics and insurance information quickly and easily with our Practice Management Software. A powerful scheduling system for managing appointments is central to the front office. Our system provides daily, weekly, and monthly calendar views with color-coded appointments organized by provider, resource, and service location. Use appointment reasons to pre-configure the providers, resources, and durations of your appointment types. Easily setup office hours, service locations, and custom scheduling resources. Integrated document management allows our clients to scan paper documents to create digital images that can be stored securely online. You can attach any scanned or digital document to appointments, patient records, encounters, providers, and more. Documents can be accessed remotely from any home or office computer. We can help you move towards a paper-less office. Clients have access to professional grade reports. Preview your reports on screen and take advantage of impressive drill-down capabilities. Print your reports or save them to disk in Microsoft Excel or Adobe PDF formats. When your ready to outsource your billing give us a call, we can set your practice up without any set up fees or long term obligations. Call Toll Free 1.877.666.5279 or click here and we will contact you!